Since statewide speed cameras were authorized by Senate Bill 277 which took effect in October 2009, Cities and Towns all across Maryland are scrambling to install new ‘school zone’ speed cameras. What they do not like to mention, is that most of the school zones where they are going up did not exist before the approval of speed cameras. Let’s start out by examining what a school zone actually is. The Maryland State Highway Administration (SHA) has published guidelines for automated school zone enforcement which includes the following description. Maryland law allows ASE systems in designated school zones. A clear definition of “school zone” must be established in order to implement an effective ASE program. The Maryland State Highway Administration (SHA) defines a “School Area” as the area surrounding, and within one‐half mile of, a school building or property and within which motor vehicle, pedestrian or bicycle traffic is substantially generated or influenced by the school. Within this “School Area”, “School Zones” may be designated. (3) Designated by appropriate signs. The Maryland Annotated Code (TR § 21‐803.1) allows School Zones to be established within a one‐half mile radius of any school. However, this does not mean that all roads within a one‐half mile radius of a school are considered School Zones. The SHA, or the local authority having jurisdiction over the road, must officially establish a School Zone and designate it with the appropriate signs before it becomes a School Zone. School zones should not be established solely for the purpose of installing speed cameras. Similarly, all school zones do not automatically qualify for speed cameras. Speed camera deployments should be based on a traffic safety study. ** Not all roadways within a ½ mile radius of schools are considered School Zones **"
As you can see, the SHA guidelines unambiguously state that school zones are not ‘all roads within ½ mile of a school’. They must be designated and marked as such. And note those words "School zones should not be established solely for the purpose of installing speed cameras." Another point, the ability to establish school zones was NOT created by senate bill 277. If you read that piece of legislation (which unfortunately many ‘professional journalists’ and apparently many local lawmakers have not), you will see that it did not alter TR § 21‐803.1, and you will also see that the authorization for speed cameras is ‘inside school zones’ not ‘within a ½ mile radius of schools’. However what is actually happening is that school zones are in fact being created or greatly expanded ‘solely for the purpose of installing speed cameras’ exactly as SHA guidelines state that they should not be, and that this is happening on a huge scale. In some case they are being broadly defined to cover all roads within a ½ mile radius of anything that could even remotely be considered a school. Baltimore City: StopBigBrotherMD documented using Google View several speed camera locations that were not previously marked as school zones and which are on roads not adjacent to the grounds of any school. Baltimore also confirmed in a letter as well as in an interview with ABC news 2 that the cameras were not going up in pre-existing school zones. The city has also asserted that it has a right to create school zones on state highways without SHA approval, or to not post all standardized signage such as ‘end school zone’ signs as specified by SHA guidelines. 86% of the city falls within ½ mile of ‘something that could be considered a school’. Baltimore apparently selected the locations because their contractor agreed to convert existing red light cameras to speed cameras. Baltimore City wrote $7.1million worth of speed camera revenue into their budget before the camera ordinance was approved or any locations selected. New Carrollton: We documented with Google View that the locations selected by the city for speed cameras were not previously marked as school zones. The city police told the Gazette that they had ‘not fully mapped out its school zones’ as of August 2009, which means they were not in place until right before the cameras went up. The city's web site stated that the zones were 'designated by the City for speed enforcement cameras' and as such they were clearly ‘established solely for the purpose of installing speed cameras’. Riverdale Park : Tried to create several new school zones on state highways in the same ordinance authorizing speed cameras. The zone for William Wirt Middle School on state highway 201 is a full 1/2 mile from the school grounds. That road only barely intersects the 1/2 mile radius and never touches the grounds of the school. According to a traffic engineer at the SHA, no school zones on US 1 and State Highway 201 previously existed. One zone on state highway 410 did exist but was a much smaller area than in the Riverdale Park ordinance. All of these state highways are major arterial roads. As of mid January the SHA was still considering their request to use speed cameras at these locations. Mount Rainier: School zones were created as 1/2 mile radius areas which cover the entire town. This was done right after speed cameras were approved. Glenarden: School zones were authorized in several 1/2 mile radius circles which cover the entire town. At the time of this writing the Glenarden city website did not contain a copy of the ordinance or any notice of this new ordinance, even tough state law requires 'public hearings' and public notice of locations before speed cameras are used in any local jurisdiction. Cheverly: Not only is the town establishing new school zones, but it is going so far that they are introducing an ordinance Jan 14 to lower most speed limits. Most roads in the town will have the speed limit lowered from 25mph to 20mph, and the newly created school zones will drop to 15mph (ref 1, ref2). Some council members went on the record for their reasons for lowering speed limits in town meeting minutes: "CM Schachter will have questions about how creatively and expansive the Town could be in interpreting the law regarding the expenditure of these funds. Noted that it doesn’t bother him one bit to make money to be used for additional public good. Can we lower speed limits around the schools? " The next Cheverly town council work session is scheduled for January 28th and the next town meeting scheduled for February 11, where they are planning to approve their speed camera contract, as well as discussing "Approving Speed Designation and School Zone Designation" according to the meeting agenda. Berwyn Heights: expanded its school zones to cover all of Pontiac Street, and added a new one on Edmonston Road. District Heights: On November 24th the town passed ordinances to authorize speed cameras in3 new school zones which cover the entire town. At the time of this writing the city website (www.districtheights.org) did not contain ANY information about speed cameras or the new ordinance. Sykesville (Carroll County): is currently considering an ordinance to enact speed cameras and cover much of the town with new school zones. These zones cover several roads which are not adjacent to any school. One example is a new zone for a daycare center located inside of a church located at 7300 Spout Hill Rd with the zone covers ‘Harlen Lane’ which at its closest barely comes within 12 mile of that location, if at all (you can see the proposed school zones on this map shown on the town website, Harlan lane is the road right above 'Kalorama Rd' on the extreme limit of the leftmost 1/2 mile radius circle shown). The speed limit for all roads in the zone are being set to 25mph. Town meetings are set for January 25th and February 8th. Brentwood: The town's December newsletter stated that the council had passed ordinances "Authorizing Speed Camera Enforcement Program" and "Adopt Brentwood School Zones" in the same meeting in November. The town website states that the area includes "Allison, Windom, and/or Webster streets between 34th and 38th street", these streets were not previously marked as school zones. The ordinances themselves and the town meeting minutes from November were not available on the website. Bowie: Has also tried expanding or creating new school zones. However a letter between Bowie and Prince George's County shows WHY there has been such a rush to create all of these school zones. The county denied the city’s request for some locations because they had just voted to establish the school zones and put up the cameras first. As a result the county, not the city, would keep the money. 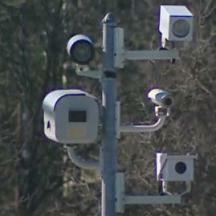 Local governments are in a race to add cameras before someone else. We do not know at this time whether the County Executive’s decision to curtail the county's program means that these locations will simply revert back to the city or if they will become mobile camera locations controlled by the county. And noted earlier, all of these local governments do have authority to create school zones (albeit requiring SHA approval for state highways). But they also had the authority to do this for no less than the last 13 years (21-803 was amended in 1997 so it was obviously in place at that time). The locations above where not selected to be school zones until last year when there was a revenue motive to do so. If these cities and towns felt there was a safety issue for students, they had many years to decide to notify drivers of the presence of a school, install other types of safety devices, even lower speed limits if the situation called for it. BUT THEY DID NOT DO SO. And in most of the above cased the stated purpose was to install speed cameras, so how does that fit with the SHA’s statement that ‘School zones should not be established solely for the purpose of installing speed cameras’ ? One might ask what would happen to traffic patterns and the region's already bad traffic congestion if everyone did what some of these towns are trying to do, putting up school zones far from schools without oversight or traffic studies. Even worse what would happen if they all did what Cheverly is doing as explicitly lowering speed limits just to hand out more tickets? One might ask that, but oh they used the word ‘school’ so we’re not supposed to ask questions are we? But we’re going to ask anyways: Given that they never previously took the bare minimum step of notifying drivers that there were schools in the area, is this really about safety or is this all a big fraudulent revenue scheme which is shamelessly using children for cover?